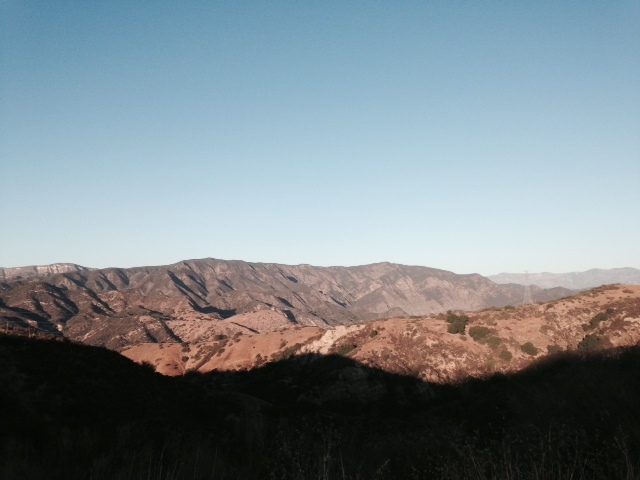 Location: Los Padres National Forest north of Santa Barbara. 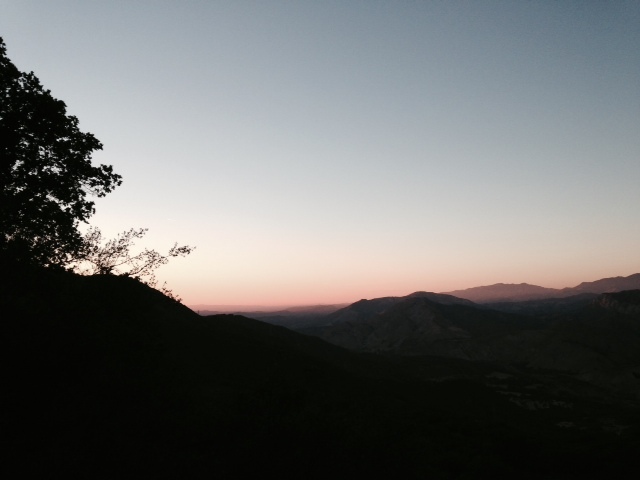 From Highway 101, take Highway 154 north for 7.8 miles to East Camino Cielo. 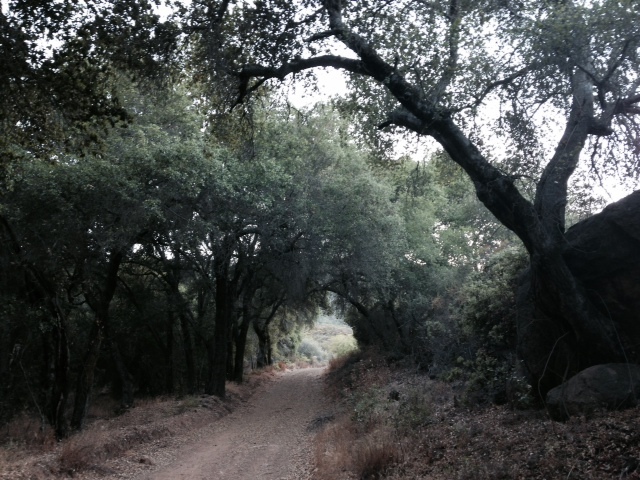 Take a hard right and follow the winding road for 6.2 miles. Park in a large dirt turnout on the left side of the road. 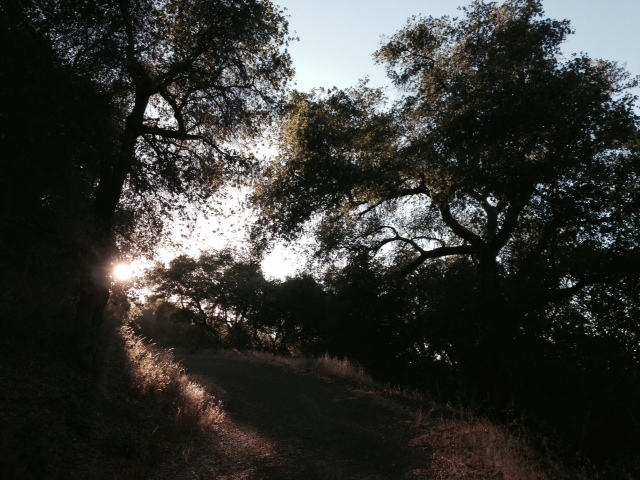 Not to be confused with the section of the Arroyo Burro Trail in Santa Barbara’s front country, this hike explores the hills above the Santa Ynez River Valley, providing panoramic views and a good amount of shade from several thick oak groves. 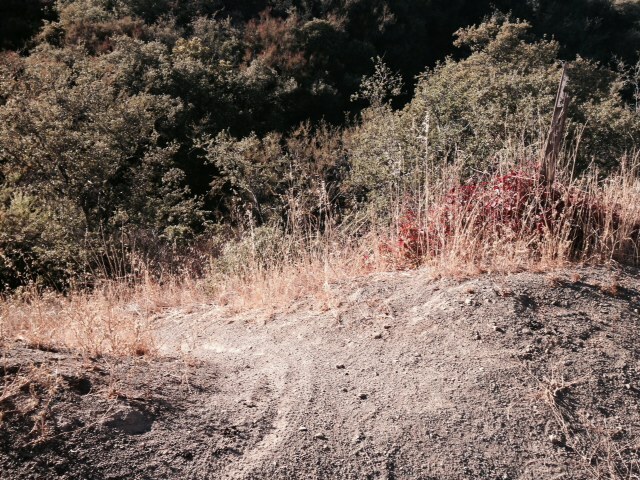 The loop, which is comprised of a single-track trail and a fire road, can be hiked in either direction, but since the single-track is far steeper, hiking the loop clockwise, as described here, allows for a more moderate ascent. This is a reverse hike, although it can also be done as a slightly longer conventional hike starting from Paradise Road in the valley below. With a car shuttle, it can also be done point-to-point. 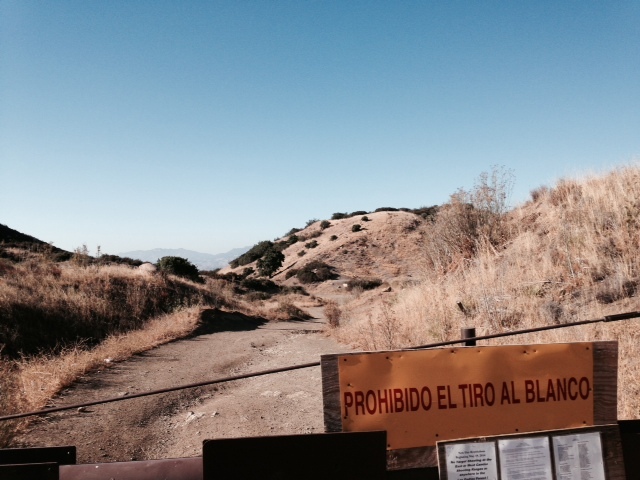 From the parking area, follow the dirt road past a metal gate. You pass by a shooting range and another gate before reaching a junction with an easy-to-miss trail on the left. 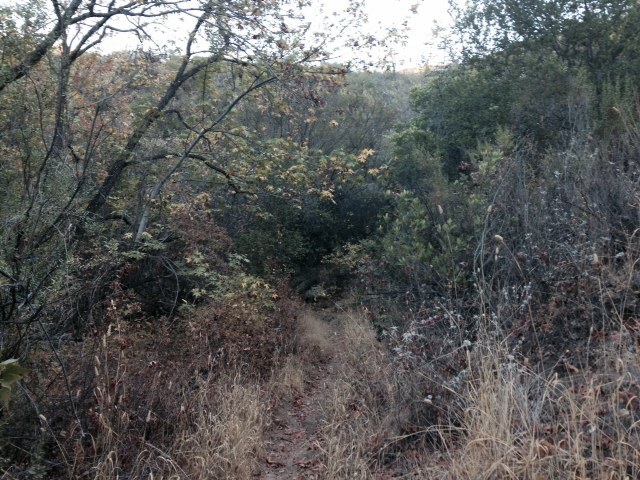 This is the Arroyo Burro Trail, which takes a hard left away from the road and begins its largely shaded descent. 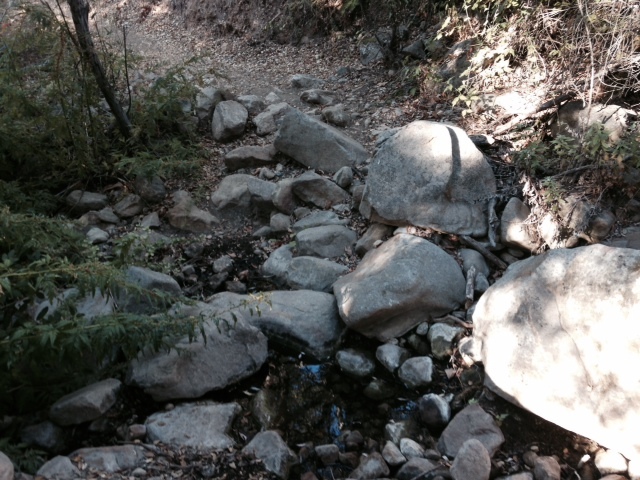 You drop steadily, crossing Arroyo Burro and its various tributaries several times, making your way in and out of oak woodlands. 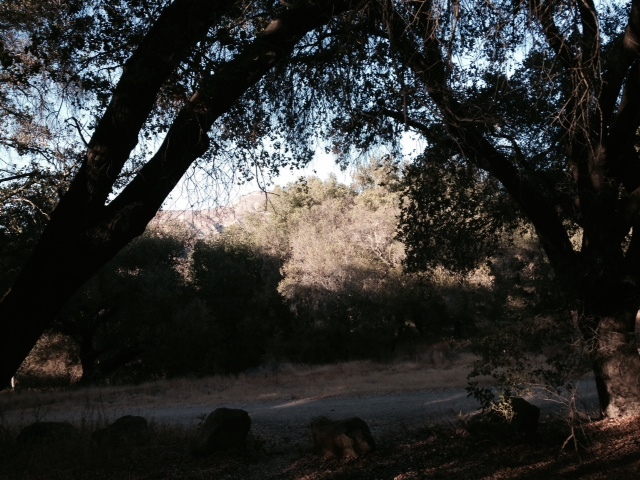 As you enjoy the shade and seclusion, keep an eye out for poison oak. At about 2.5 miles from the start, you reach a T-junction. Head right, soon reaching a dirt road where you again stay right, passing a water tank and the upper end of White Oak Camp. Arroyo Burro Road then begins its long climb back to the trail head. The ascent is steady but never too steep, providing ample time to enjoy the wide-ranging views of the valley. After about a mile of ascent (about 4 miles from the start), stay straight as a trail heading toward Matias Potrero Camp branches off to the left. Soon afterward you enter another attractive stand of oaks and the majority of the hike’s remainder is shaded. More ascent brings you to the upper reaches of Arroyo Burro Road where you complete the loop and return to Camino Cielo. Arroyo Burro’s name likely comes from its history as a miners’ supply route and the burros that carried the equipment. Text and photography copyright 2014 by David W. Lockeretz, all rights reserved. Information and opinions provided are kept current to the best of the author’s ability. All readers hike at their own risk, and should be aware of the possible dangers of hiking, walking and other outdoor activities. By reading this, you agree not to hold the author or publisher of the content on this web site responsible for any injuries or inconveniences that may result from hiking on this trail. Check the informational links provided for up to date trail condition information.